Pink Pearl Burst Chandelier Shade - Simple and Elegant! This pink silk chandelier shade is adorned with small bursts of matching pearls around the edge. We recommend 25-40 watt bulbs with chandelier shades. Full Description Pink Pearl Burst Chandelier Shade - Simple and Elegant! 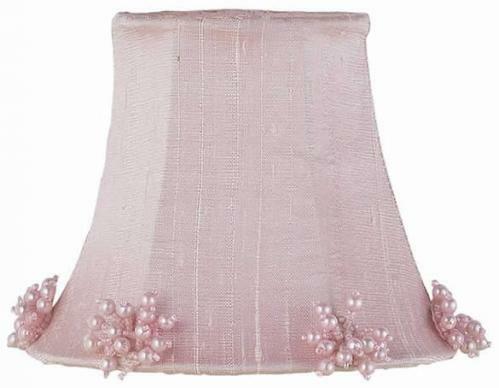 This pink silk chandelier shade is adorned with small bursts of matching pearls around the edge. We recommend 25-40 watt bulbs with chandelier shades.